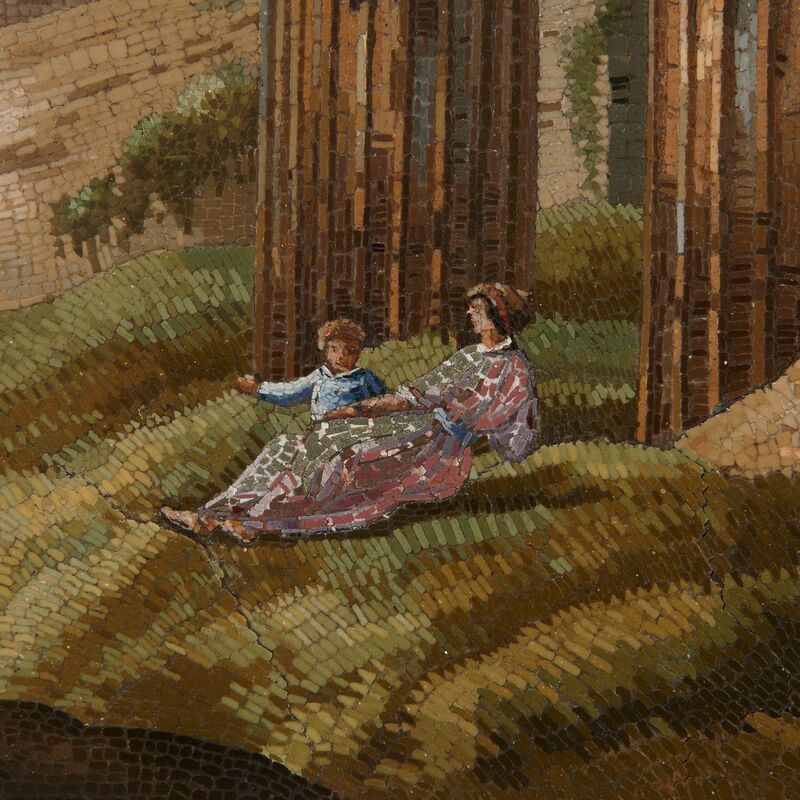 This finely rendered plaque represents a very early example of skilled micromosaic craftsmanship and is highly unusual for its large size and spectacular detail. 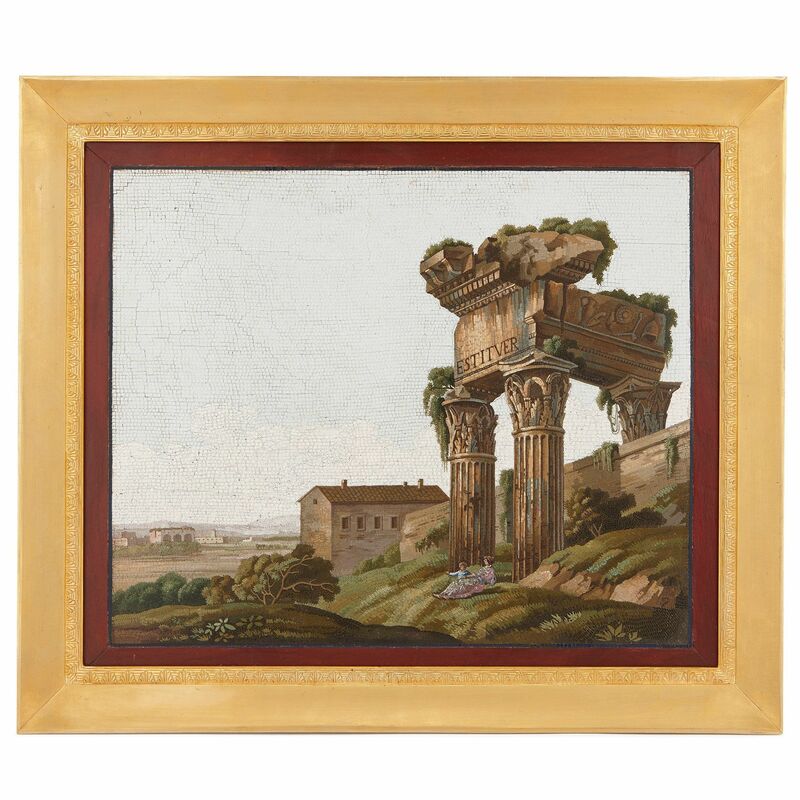 This expertly executed micromosaic plaque dates from circa 1810, at the height of the 19th Century fashion for collecting micromosaics. 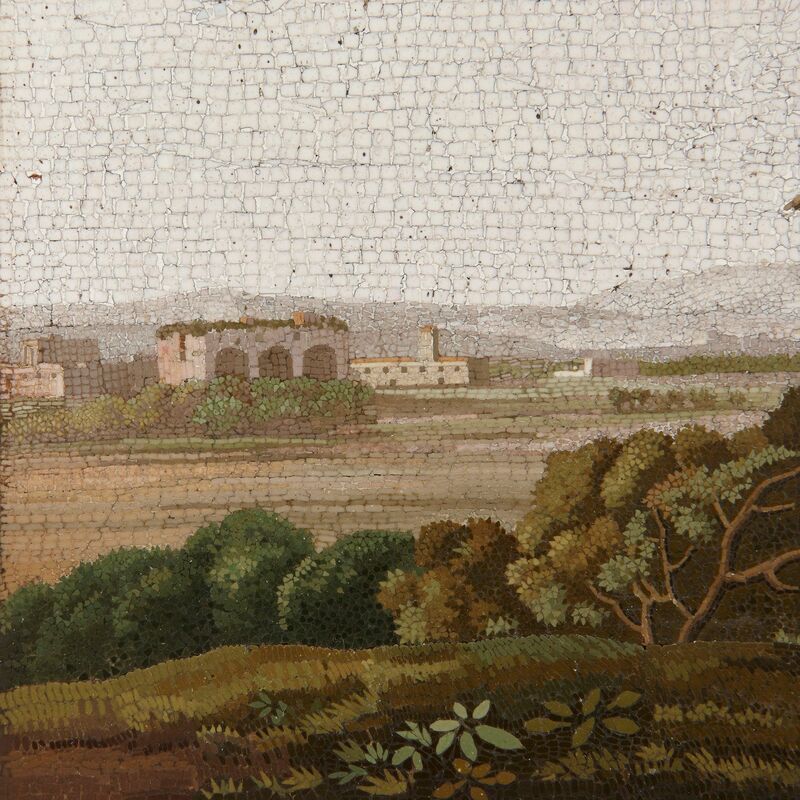 Micromosaics, and mosaic fragments from antiquity, were fashionable souvenirs which would be collected by aristocratic men on their Grand Tour of Europe in the 18th and 19th Centuries. 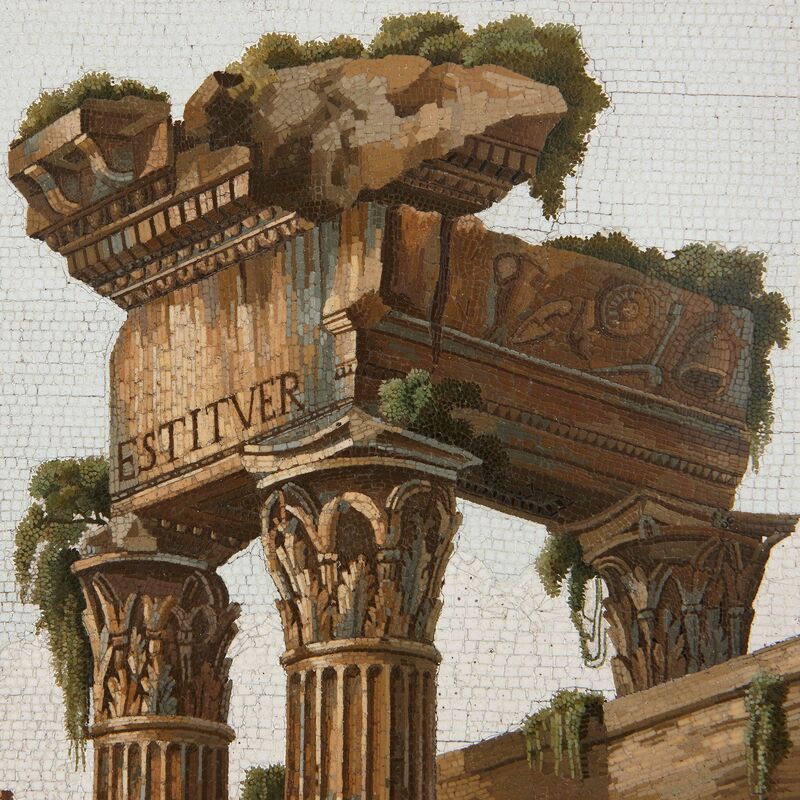 The ancient mosaics inspired skilled 19th Century craftsmen to make fine micromosaics, such as in this example, and they soon became highly desirable. 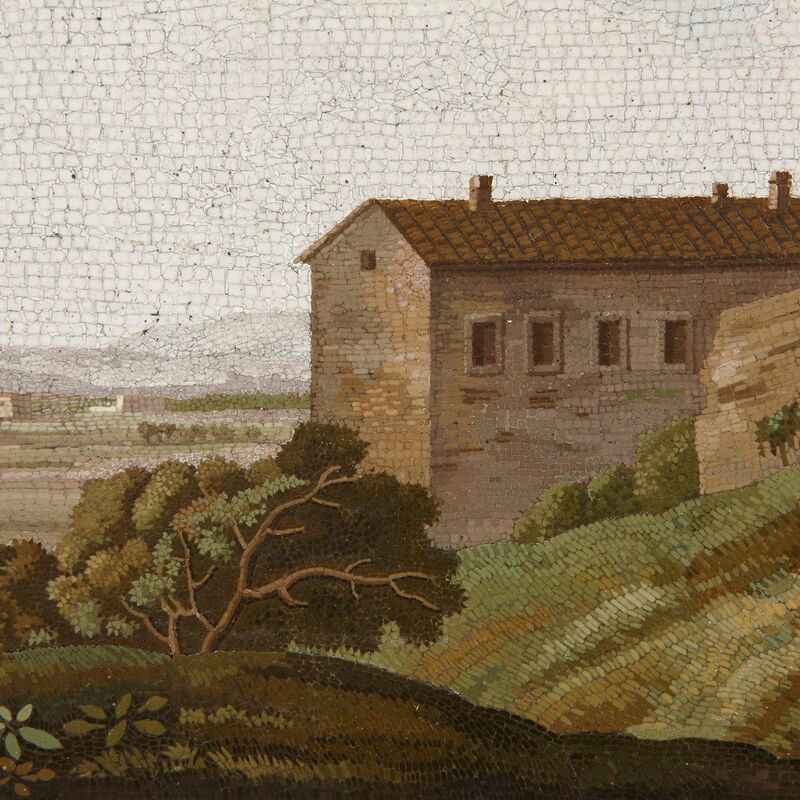 However, most micromosaics produced were small depictions, given the skill and time required to complete even minute detail in micromosaic. As such, this plaque is exceptionally rare given its large size. 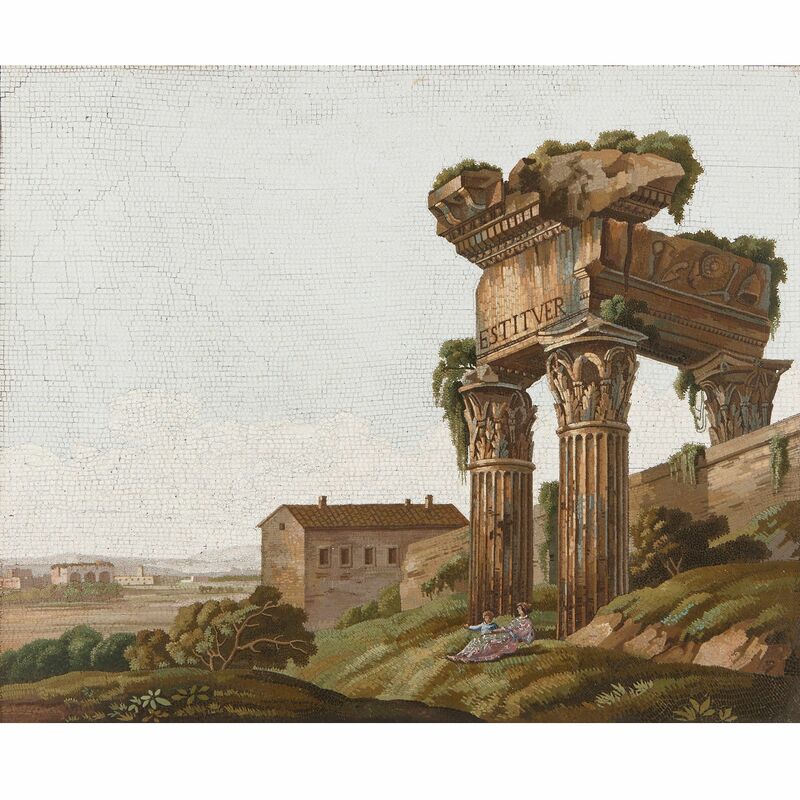 The work is in excellent condition and beautifully exemplifies the quality of craftsmanship prevalent in Italy at the time.